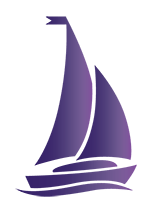 The collections of the Sigma Sigma Sigma Sorority National Archives support the mission of the Archives to safeguard and preserve the records of Sigma Sigma Sigma. Materials are identified, acquired, stored, preserved, and made available to members as is safe and practical for the integrity of the materials. The collections include official printed materials of the Sorority such as the Triangle Magazine, materials from national programs and meetings and physical materials of significance to Tri Sigma’s history, such as badges and awards. The collection contains materials dating to the Sorority’s founding in 1898. Margaret Lee Batten was born in Smithfield, Virginia. At Longwood, she was the sunshine of the Sigmas; she was never without a smile. Margaret carried herself regally, dressed well, danced well, and impressed people as being strong. Years later, as a successful career woman, Margaret admitted that she was a rather frivolous student. 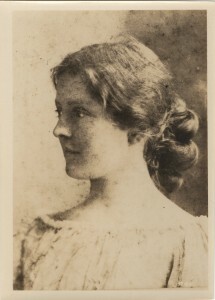 Margaret was close friends with Miss Coulling, Alpha Chapter’s first faculty sponsor. A kind person, Miss Coulling understood Margaret’s lack of aptitude for hard study. Nevertheless, as a young widow, she went on to become an overwhelming success in the business world. If arithmetic is a “must” for hotel management, then Margaret learned “to do by doing.” But more than that, she had a genuine love for people. She sensed that the happiness of hotel guests depended upon creature comforts, and she saw to it that these were provided. Deploring modern indulgence in cocktails, Margaret once observed that in her day girls could stay up all night dancing and still look fine the next day because they had not indulged in drinking. Margaret died in Washington, D.C. in 1960. Louise Marie Davis born in Cumberland County, and received her early education at home under the direction of a governess. The Davis home was a popular place for the Sigmas to visit. When Louise entered the Normal, she was homesick and declared she could not stay. Shortly thereafter, she came down with German measles and did return home, staying there for half a year because of eye trouble. Re-entering the Normal, she graduated in the class of 1900. Of her Farmville days, Louise recalled the Franklin stoves with their open grates around which, on Sunday nights, the girls would toast ham from their accumulated supper supplies. As a student, she enjoyed the athletic program, tennis, marching around the gymnasium with hymnbooks on head and long walks. She recalled that special permission had to be obtained to walk in High Street or to walk to Lithia Springs. 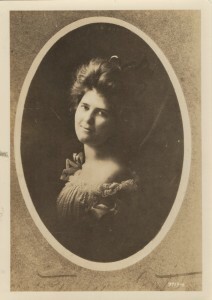 Louise married Samuel Roland Hall, a successful advertising executive. She died in Warhill, VA in 1963. Martha Trent Featherston was born in Surrender House at Appomattox Courthouse, Virginia, where General Robert E. Lee surrendered to General Grant. Made famous by history, the house is now part of the restoration of the Village of Appomattox Courthouse. Martha, better known as “Pat,” was demure, dignified, and much loved by the student body. She was always doing for others, a fact she kept to herself. Many girls went to her with confidences and she gave good advice. Though she looked serious, she had quick wit that sparkled and choice humor. Martha recollected that in order to hold secret meetings, the Founders had to steal away from roommates who belonged to other clubs. “Miss Patty,” as she was known in Roanoke, was a versatile teacher, who made teaching her only career for forty-one years. She taught everything, at one time or another, from third grade through junior high. She favored emphasis on the “three R’s” and loved teaching until the last, when too many changes began to creep in. Her greatest joy came from classes in mathematics, although geography was a close second. Martha died in Prince Edward, VA in 1972. Isabella Noyce Merrick, a direct descendant of the Black Prince, was born at Glendower, sixteen miles from Charlottesville. Her father, a farmer, raised livestock and diversified crops. Among her treasures were the many beautiful pieces of silver with full name engraved that she had inherited from her father’s sister, for whom she had been named. Described as a lovable girl and good student, she saved her spending money for claret ices and ascot ties. (Claret ices were a type of frozen wine coolers.) Among other talents, she learned to sew at Farmville. She was extraordinarily proud of a shirtwaist of blue and white, made exclusively by hand, which she wore everywhere. The reason I went to Farmville,” she said, “was to prepare myself to earn a living. Teaching was the only good opening for a woman, and at the time tuition was only fifty dollars a year.” Although the Normal girls were not supposed to meet boys during the week, Isabella admitted that she sometimes did. However, she always confessed because she wanted her conscience clear. For five years before her marriage, she taught at Carter’s Bridge, six miles from her home. An excellent horsewoman, Isabella trained and showed horses. Isabella always rode to school on horseback, her mother insisting she carry a pistol. She married Edwin Earle, Jr., who managed the farm adjoining her family’s. They moved to Salisbury, North Carolina, and Isabella turned to golf for pleasure, playing in numerous tournaments. Isabella died in Rowan, NC sometime after December 21, 1969. Sallie Jackson Michie was born in her Virginia family home, Bel Aire near Monticello, built by her paternal grandfather with bricks made on the estate. A zealous churchman, Sallie’s father organized a company in the Confederate Army and served as its Captain. All her people were community spirited. As a student, Sallie was bright, quiet and diligent. She received a full diploma at sixteen, with highest averages, and had the distinction of being the youngest girl ever graduated from the Normal. Her attractive personality and fun-loving nature made her a great favorite. 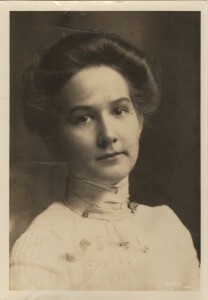 Sallie bloomed as a typical “Southern Gentlewoman.” As a teacher in Virginia and Georgia for ten years, she was devoted to her profession. She moved to New York when she married Warfield B. Bayley, an engineer employed in construction of an aqueduct to carry water to New York City. During World War I, she worked for the Army Air Corps in Washington, D.C., and continued until her retirement in 1943. A dimpled, well-groomed woman, Sallie was characterized as the “Traveling Founder” because she traveled extensively. Sallie died in Charlottesville, VA in 1974. Lelia Agnes Scott was born April 12, 1880, in Amelia, Virginia. She was an excellent student, especially in mathematics, and graduated in 1899. A comfortable sort of person, she seemed older than the others, and often, her room became the gathering place as the Founders planned their secret society. With Lucy, Lelia was one of the moving spirits of the new group. Their secret meetings took place in the left wing of Professional Hall where they could be assured of complete privacy. But life is not without clouds. 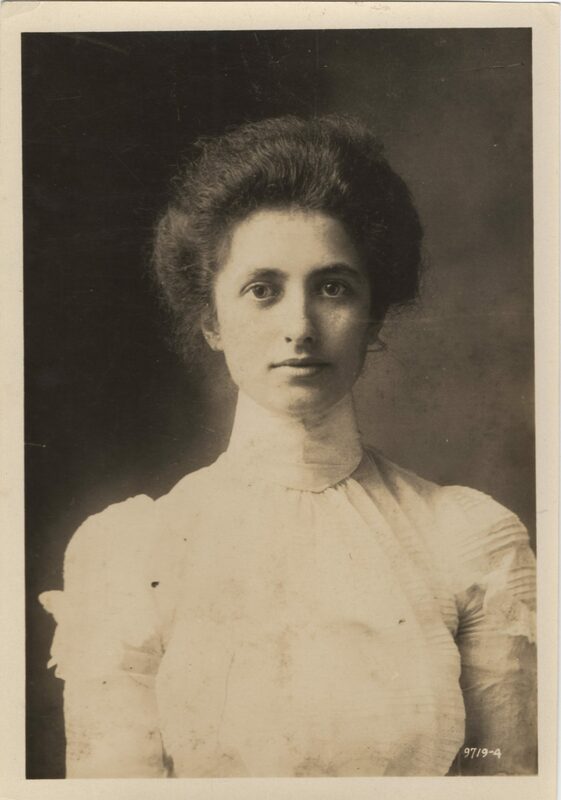 Failing health and depressed spirits led to Lelia’s untimely death by suicide in 1913, becoming the first Sigma to enter the Omega chapter. Described as small and dainty, she always dressed in black because of the death of her mother. At the Norfolk Convention in 1925, when she saw how Sigma Sigma Sigma had developed, she remarked, “It just shows you have to be so careful about what you do when you are children. Before her marriage, Elizabeth taught in the public school in Hampton. She loved teaching, saying that all the girls of the early Sorority were rather serious persons who expected to be teachers. She heartily approved of modern education because girls were taught to know the world outside and converse on equal terms with older people. Elizabeth was the only Sigma Founder who married a Hampden-Sydney graduate, a nearby college for men. A Pi Kappa Alpha, her husband Harry Houston served in the Virginia Legislature. Elizabeth died in Hampton, VA in 1964. 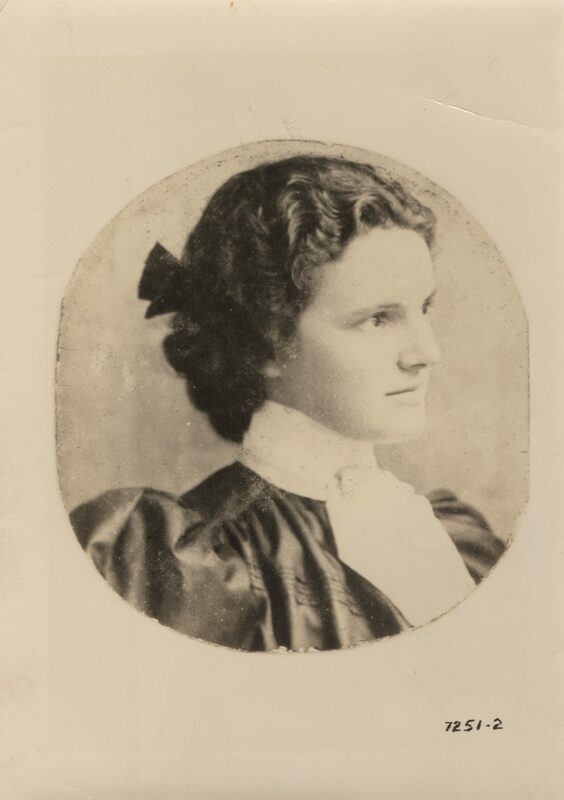 Lucy Elizabeth Wright was born at Clover Dale Farm in James City County, VA. For her early education she attended a one-room county public school. Lucy was modest about her family, many of whom had served in the Virginia House of Burgesses. She loved reading, writing and arithmetic and knew Venable’s Arithmetic, Maury’s Geography, Barnes’ History and McGuffy’s Readers from cover to cover. Because she was well prepared and knew how to study before entering normal school, she had plenty of time for extra college activities. 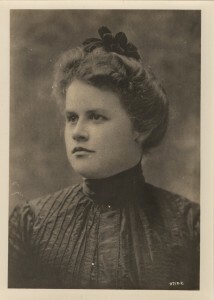 She was the first chief officer of the chapter and was prominent in many school activities, including tennis and bicycling. 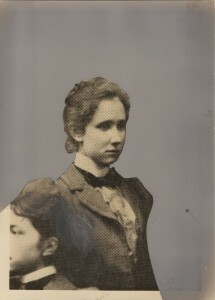 She entered the Normal at Farmville in January 1896, on her sixteenth birthday, and graduated three years later. Lucy was known for wearing her curly, black hair in a bow or ribbon, and making many of her own dresses. One in particular was so much admired that she borrowed a sewing machine from the Head of Home (Dean of Women) and made several for other girls, charging 25 cents apiece. With inimitable humor she would tell the story of the custom-made eleven-dollar shoes she wore to school dances and which she generously lent to the other Sigmas. Upon graduation, she accepted a principalship at Hickory Neck Academy, remaining there until the following year when she married hardware merchant George Bertrand James. Her many interests naturally led to continued community involvement. 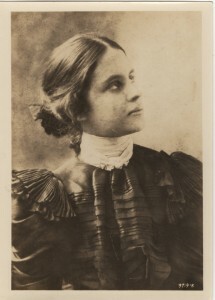 It was no exaggeration to characterize Lucy Wright James as a born leader. Lucy died in Richmond, VA in 1960.